I love to help you make the world better. Whether it’s helping nonprofit leaders learn how to fundraise, or small minority owned businesses learn how to do business with the government, I bring the enthusiasm to inspire your audiences. Together, we can make your event the best one yet. How can we make your event the best ever? When you get me, you get 10+ years of successful experience in fundraising and leadership. Experience is better than theory, and I have it. I worked in progressively more responsible fundraising roles until I became a Development Director. 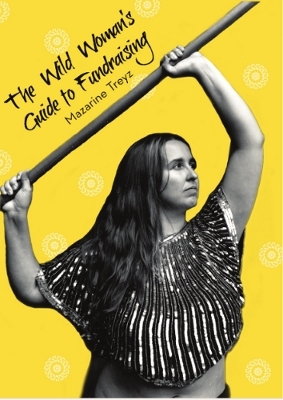 Then I wrote The Wild Woman’s Guide to Fundraising, and Get the Job! Your Fundraising Career Empowerment Guide as well as The Wild Woman’s Guide to Social Media. PLUS I created 10 comprehensive e-courses on fundraising. I love moving your audience to action. PLUS I bring 10 years of experience in entrepreneurship and leadership. That makes me feel passionately about helping other small businesses and nonprofits that have an entrepreneurial mindset. I am a government contractor, and I enjoy helping others get government contracts with my training. I identify as a nonprofit workplace advocate. That means I advocate for people working their proper hours, getting pensions, higher salaries, better benefits, and support to not just survive but thrive as leaders in the nonprofit sector. To this end I’ve created Wild Nonprofit Leadership, where I offer ways we can work together. Can I understand where you’re coming from as an event organizer? Definitely! In addition to organizing events as a full time nonprofit employee, I am the founder of the Fundraising Career Conference and the Nonprofit Leadership Summit, with over 1,000 attendees since 2015. I am dedicated to being easy to work with and I enjoy helping you craft unique offerings for your attendees. Since 2010 I’ve spoken to over 16,000 people in workshops, keynotes and webinars. Need help with compelling content before or after the event? I accept paid writing gigs, and currently write for several websites. 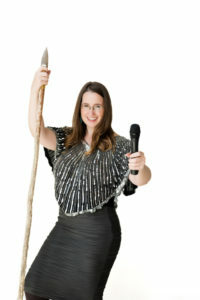 My popular website, WildWomanFundraising.com has 50,000 monthly readers. 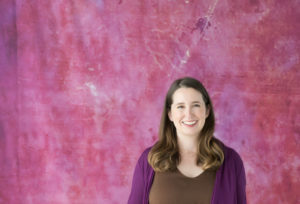 I’ve been featured on the Chronicle of Philanthropy, NonprofitPRO, GuideStar.org, Bloomerang, Stanford Social Innovation Review, Entrepreneur on Fire and many other media outlets. Check out the press here. I love having fun and being creative! I work on expressing myself through felting, encaustic art and poetry. I love doing Destiny Card readings. I’ve been certified to perform transformational card readings by the order of the magi. I also use Human Design and the Gene Keys to help people find out who they really are. So much of our lives are filled with frustration and confusion. I’ve found that these readings help people accept themselves and others as they are. My speaking clients span industries—from national nonprofits to government, from start up nonprofits to associations. Since 2010 I’ve created over 50 unique presentations on leadership, fundraising, and marketing teaching over 16,000 people worldwide. As Buckminster Fuller says, I seem to be a verb! I like writing. So I do it a lot! And I like reading. Since I learned how to present and teach, I love speaking and training too. I’m a feminist. This means that I believe that all people should be treated equally and paid fairly. I fight inequality with my blog, business, and speaking. When I get to help nonprofits fight inequality and promote equity, that makes me so happy. 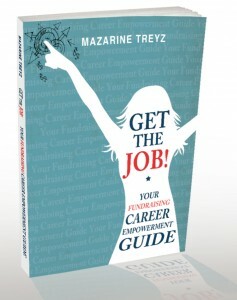 So I wrote a book to help people self-empower in their fundraising careers, called Get the Job! Your Fundraising Career Empowerment Guide, and I like to present on salary negotiation and moving on up. I created the first Fundraising Career Conference. I’m proud to say we’ve had over 1,000 people participate in this event. I’m fascinated by leadership, so I also created the Nonprofit Leadership Summit. I love laughing. So each week in my newsletter I share a joke or two. I’ve built up a collection of them, so I have blog posts on here with twitter jokes that have made me laugh or at least smile. I make tons of mistakes. Each year I have a blog post with my mistakes. I’ve also started making an annual report so you can reflect on the year with me. Something that might surprise you about me: I do Superslow weight lifting. This means you bring your major muscle groups to failure for 20 minutes a week. It helps you build muscle and stay healthy as you age. My first book: The Wild Woman’s Guide to Fundraising holds all of that stuff you wish they taught you in your first fundraising job. I took all the fundraising tips I gathered over the years and tucked it into one handy-dandy book. Everything from how to get your board members to fundraise to how to create a one page fundraising plan. It’s all in here. If you read this book, you’ll stack the odds in your favor by learning more about many aspects of fundraising, filling the gaps in your knowledge and getting more money for your cause. My goal with this book is to help you make fundraising more fun for yourself and for everyone involved with your cause. Click here to learn more about this book. 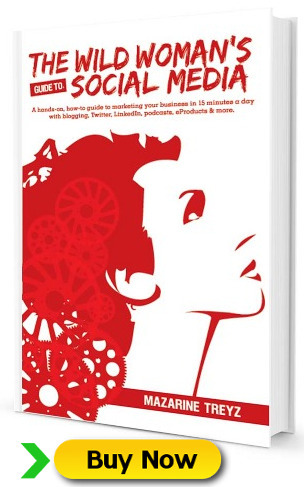 In 2012 I published my second book, The Wild Woman’s Guide to Social Media. It was rated 5 stars by Nonprofit.About.Com, and it’s really good for small business too. What’s it got? Lots of worksheets. Lots of checklists. Lots of stories. It’s ultimately a step by step guide for you to succeed in building attention online. I share with you my secrets for getting 50,000 monthly uniques, over 5,000 people on my mailing list, and more, starting from nothing, with no connections. If you want to build a reputation, get more attention for your cause or yourself, you need to read this book. In 2013 I published my third book, Get the Job! Your Fundraising Career Empowerment Guide. It has also received a 5 star rating from Nonprofit.About.com. It’s got sample cover letters and resumes for fundraising jobs, and how to negotiate your salary and how to interview strong. Even more than that, it talks about what happens AFTER you get the job. Stuff like how to empower yourself at work. How to learn what oppression looks like, how to resolve workplace conflicts, and uncovering some of your motivations in fundraising and the nonprofit world. It’s the book I wish I had when I started fundraising. Click here to read reviews about this book. I’ve also created a number of popular e-courses about fundraising and marketing. Here are a few of them. Why am I doing this? My goal is simple: deliver fun, inspiring training that will put you in the driver’s seat of your life. If you want to be the first to hear about the latest and greatest tips, tools and resources for leadership or fundraising, be sure to sign up for my newsletter at http://wildwomanfundraising.com/free-stuff. I’d love to meet you! The best places to connect with me is on the phone 503-673-3863, or in the comments section of my blog posts. Be sure to check my Events to find out what I’m teaching right now! I also write poetry. 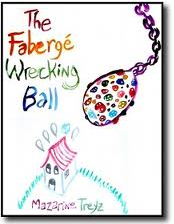 Here’s a chapbook I wrote, called The Faberge Wrecking Ball. Here is a list of all of my projects. Now your life is complete.